Education in Jamaica has come a long way in the past few hundred years. In the 18th century bequests were made to build schools by wealthy residents, that were for poor white or light-skinned children. The bequests were usually small amounts. Some of the schools are still in use, such as Alley School and Manchester High School both of which were funded by Raines White in 1694. 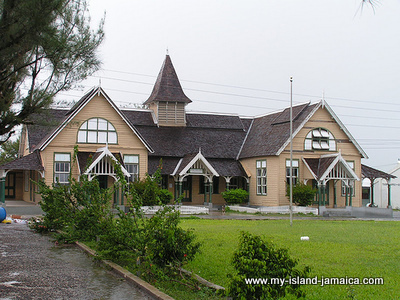 Mannings School was established in 1738 at Savanna-la-Mar that was named after the founder, Ruseas school in Lucea was another early established school as well as Titchfield School founded in Port Antonio. In 1736 Wolmers School was established after a Kingston goldsmith left £2360 in his will to found a free school. Another school was set up in 1795 in the old St Ann's courthouse to become Jamaica's first free school at Walton financed with a bequest from Charles Drax, initially to register eight poor boys and four girls. Jamaicans have always put education as high on the list of priorities, since they gained their own freedom after struggle. One of the first areas the newly formed Jamaican government did a couple of hundred years ago was establish the education system, although at the time JA was still a colony. As did the other Caribbean islands all improving their future. In 1973 a free education policy at secondary school level was introduced. Nowadays, schools are financed by the Government, but in the early 1970's 50 new junior and secondary schools were built after obtaining a loan from the World Bank. Primary education is now free and compulsory in some districts. A large amount of the budget annually goes to the Ministry of Education to Finance the School of Agriculture, College of Arts, Science and Technology, the University of West Indies in Kingston and Teacher Training colleges. Jamaica has gone further now in the 21st century and is still developing in the educational sector to be classed among some of the best educational facilities around the world.